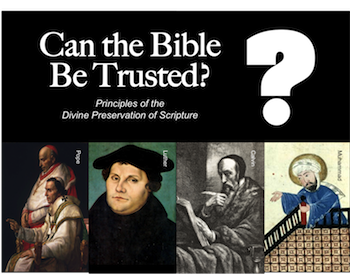 In "Can the Bible Be Trusted? Part 2," we looked at two of the principles of Divine preservation of Scripture - God's Presentation and God's Parallels. In this material, we will examine two more - God's Protection and God's Prophecy. Remember, man cannot be trusted with the greatest message of all time. In order to be sure of God's message, always let the Bible interpret the Bible. Use it in your personal Bible study. Test every preacher, teacher, and church leader by it. Filter all doctrines through it. Let the Bible speak for itself! Perhaps the most dramatic evidence that the Bible is trustworthy comes from the way its message has been protected by God throughout history. Notice just a few examples. Judaism tried to destroy the Bible. In Jeremiah 36:22-23, Jehoiakim tried to eliminate its message, but he failed. In 100 B.C., Antiochus IV tried to destroy the Bible, but he failed. And shortly after Jesus ascended back into Heaven, the Jewish Sanhedrin forbade preaching in Jesus' name. Yet today, the book which contains His life story is read in nearly every corner of the world. Muslims tried to destroy the Bible. In 732 A.D., they attempted to eliminate all Bibles and kill all Christians, but they failed. Catholicism tried to destroy access to the Bible. In 1494-1516 A.D., Ferdinand and Isabella forbade the common people to have Bibles. In 1600, Ferdinand II caused ten thousand Bibles to be burned in his attempt to limit its influence. In 1637, Jesuits caused sixty thousand Bibles to be burned. In 1713, Pope Clement II condemned Bible reading. In 1844, Pope Gregory XVI said that Bible societies were guilty of the greatest crime against the church. The French skeptic, Voltaire, once said, "In less than one hundred years the Bible will be discarded and Christianity will be swept from the earth." One hundred years later, Voltaire was dead and his house was being used as a depot for the International Bible Society. God doesn't just promise and present His message in providential parallels, He takes an active role in protecting it. In order to be sure of God's message, always let the Bible interpret the Bible. Prophecy is not just an evidence of God's power, it is also a preservative. By predicting events long before they become reality, God ensures that the message came from Him because only He has the power to bring about such fulfillment. The completion of prophetic predictions is nothing less than Divine evidence that His words are prompted and protected by Him. Both Zechariah and Isaiah lived over 500 years before Christ was even born. They wrote the books which bear their names and are credited for recording numerous prophecies about the death of Jesus. The ancient book of Psalms, which is also rich in prophecies, can be dated even earlier than Isaiah and Zechariah. Even though these men lived so far apart in time and predicted events that would occur hundreds of years after their deaths, the harmony and accuracy of their prophecies is almost unbelievable. Notice just a few of these amazing prophecies. The betrayal money of Judas - Read Matthew 26:14-16, 27:3-6, then compare it to the words in Zechariah 11:12-13 which were written some 500 years earlier. The tortures of Jesus - Read Matthew 26:65-68, then compare it to the words in Isaiah 50:6 which were written over 600 years earlier. The silence of Jesus at His trial - Read Matthew 27:13-14, then compare it to the words of Isaiah 53:7 which were written over 600 years earlier. The clothes of Jesus - Read John 19:23-24, then compare it to the words of Psalm 22:16-18 which were written 1,000 years earlier. The phrases of mockery at the crucifixion - Read Matthew 27:42-43, then compare it to the words of Psalms 22:7-8 which were written 1,000 years earlier. The torturous thirst of Jesus on the cross - Read John 19:28-29, then compare it to the words of Psalms 69:21 which were written 1,000 years earlier. The exact words of Jesus on the cross - Read Matthew 27:46, then compare it to the words of Psalms 22:1 which were written 1,000 years earlier. Prophecy emphasizes the attention God has given to His message. If He took the time to connect all those prophetic dots back then, why would He not take the time to protect His message for us today? 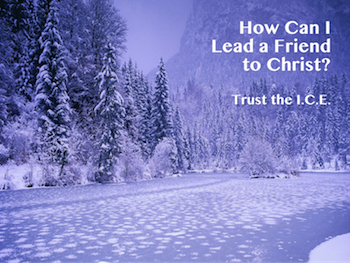 Yes, you can trust Scripture and depend upon it to test all doctrines. God's prophetic preservative says so. In order to be sure of God's message, always let the Bible interpret the Bible. Can the Bible Be Trusted? "Part 4"
Back to Top of "Can the Bible Be Trusted? Part 3"